Mark, born in Florida and raised in Michigan, came to Jacksonville with the military. 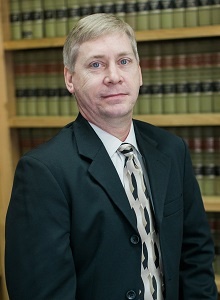 He brings to the firm more than 25 years experience in management and 18 years in accounting. Mark has been working with Mr. Fernandez since July of 2003. He is happily married with three children. Although crunching numbers is what he does best, he is also an avid computer junkie. Administrative Assistant to Mark E. Thompson, Sr.
Cris, originally from Maryland, moved to Florida to be closer to her family. She joined our firm in January, 2003 and brings her professionalism, knowledge and more than 30 years administrative support experience.